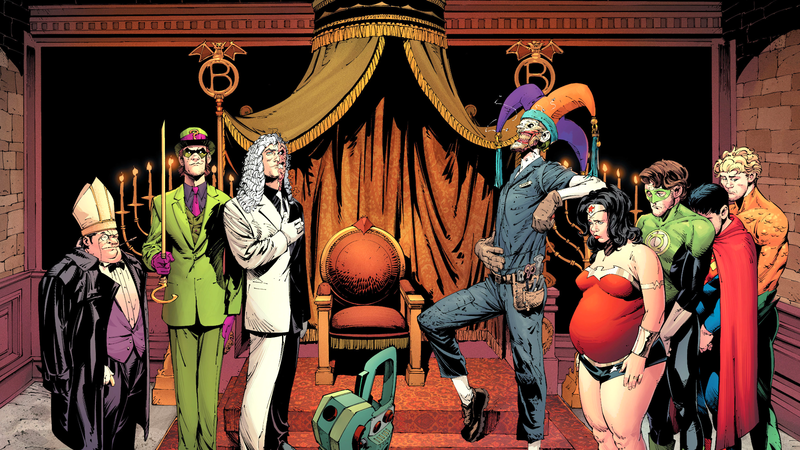 "Death of the Family" is a 23-issue comic book story arc first published by DC Comics in 2012 featuring the fictional superhero Batman and his family of supporting characters. The arc spans several titles featuring characters of the Batman family including: Batman, Batgirl, Batman and Robin, Catwoman, Detective Comics, Nightwing, Red Hood and the Outlaws, Suicide Squad, and Teen Titans. The story involves the return of Batman's arch-enemy, the Joker, and his plan to destroy all of the people Batman has come to rely on over the years: the multiple Robins, Batgirl, Catwoman, Alfred Pennyworth, and Commissioner James Gordon. The title is a reference to the classic Batman story arc "A Death in the Family" (1988), in which the Joker murders Jason Todd.